The antifungal activity of essential oil from Calamintha nepeta (L.) Savi subspecies nepeta was investigated against some destructive fungal pathogens of postharvest fruit. A preliminary in vitro assay was used to assess the inhibitory effect using vapour contact and direct contact of the essential oil against Botrytis cinerea, Penicillium digitatum, Monilia laxa and Penicillium italicum. Both methods demonstrated that the essential oil was effective against all the fungal species tested in a dose-dependent manner, although the antifungal activity was more potent with the vapour contact test. Additional in vivo tests confirmed the efficacy of the vapour phase of the essential oil against P. digitatum and M. laxa on clementine and plum fruit, respectively. 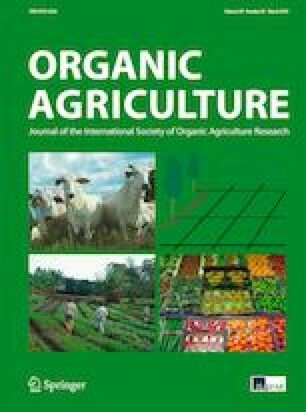 Total control of both brown rot and green mould was achieved on artificially inoculated fruit at doses of 133.3 μL L. Furthermore, excellent control efficacy, similar to that obtained with conventional fungicides, was achieved at a dose of 66.6 μL L. Chemical analysis of the essential oil by gas chromatography-mass spectrometry showed that pulegone (44.7%), menthone (16.4%), piperitenone (13.3%) and piperitone (6.01%) were the major constituents. These results suggest that the essential oil of C. nepeta subsp. nepeta has the potential to be used by vapour diffusion as an alternative biocontrol agent to conventional fungicides for postharvest management. However, it is important to do further research to validate these results under conditions that mimic commercial facilities and to optimise the application of essential oil vapours.